Welcome to the home of the Warriors Lacrosse teams. Would you like more information on our program? 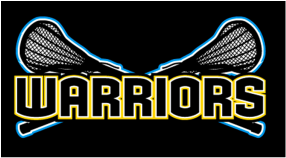 The Warrior Lacrosse program (WLCC Lax Inc) offers one of the largest facilities in the Midwest with nine (9) full-size fields. All fields are located on the campus of Waverly High School. The location is 160 Snow Rd, Lansing MI 48917. As in past years, Warriors Lacrosse will offer two festivals in 2019. See our Festival page for details. We are looking forward to an exciting lacrosse season and hope you will join us.